As our society becomes more aware of the environment around them, green, eco-friendly, and charitable weddings are seemingly becoming more popular year by year. 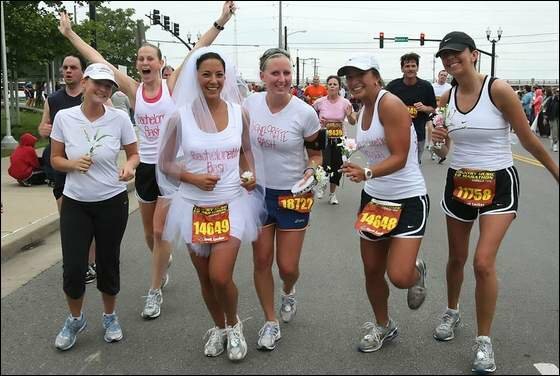 So if you are looking for ways to give back at your wedding, here a few simple ideas to accomplish your goals. 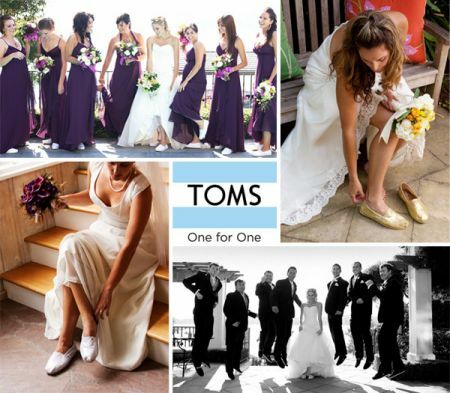 1) Wear Toms in your wedding or give them as presents to your wedding party; Toms gives a pair of shoes to a person in need for every pair sold. 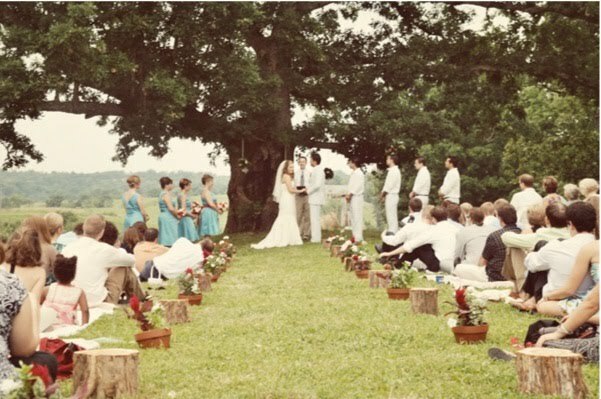 2) Find a wedding and reception venue at a place such as: historical, regional, and state parks, museums, non-profit organizations, and arboretums, which will ensure proceeds of rental fees will go to helping the venue stay in good shape. 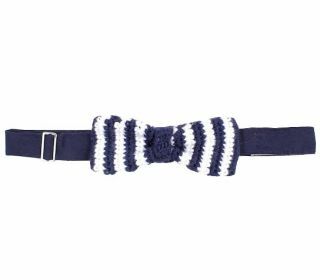 3) Give your wedding party favors from Krochet Kids; for example, bridesmaids can get headbands and groomsmen can get bow ties, or perhaps, bridesmaids and groomsmen can wear these in the wedding. 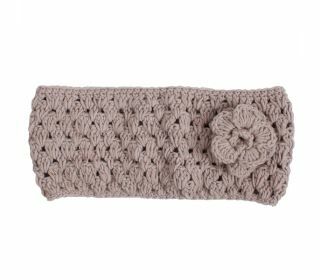 Korchet Kids is giving jobs to those who do not have access to such luxuries in places like Uganda and Peru. 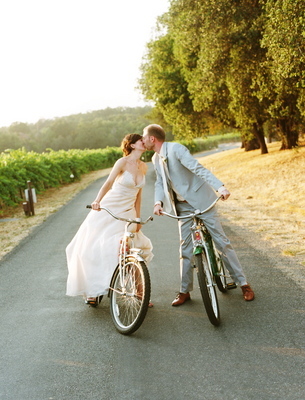 4) Instead of giving your wedding party gifts, give money to their favorite charity of choice. 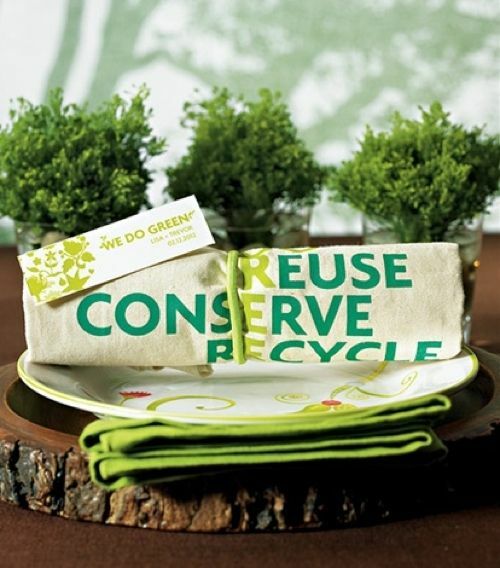 5) Give your guests reusable bags as wedding favors; with plastic bags being banned in many places, this can be a very useful and “green” gift for everyone. 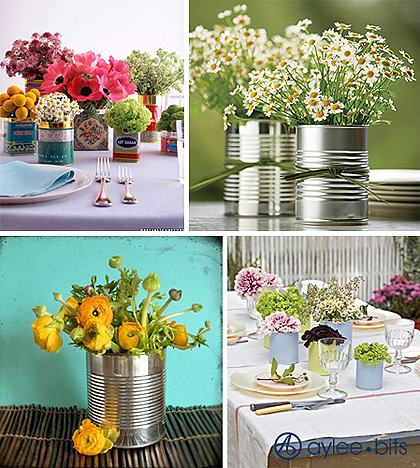 6) Go green with items like natural burlap, recycled cans/jars/or glass to use for centerpieces, and recycled paper for invitations. 7) Instead of throwing it away, give all your leftovers to people in need of a meal. 8) Instead of receiving wedding gifts, request for guests to give donations or money to your favorite charity. You can also give away the money you get on your wedding tree, instead of keeping it for yourself. 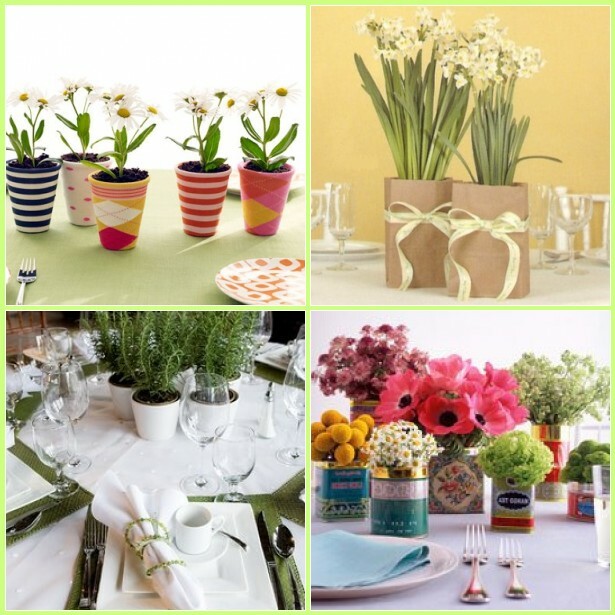 9) Instead of a bouquet, make your centerpieces with plants, which can be re-planted later; you can even have small plants or herbs like sage/rosemary/basil, which can be replanted or used for food as wedding favors. 10) Instead of buying or using chairs made of plastic and metals, have a picnic style wedding where guests can sit on blankets. 11) Donate your dress to someone in need or charities like Brides Against Breast Cancer. 12) Request for guests to carpool to the wedding; guests that can come together in one car will use less gas. 13) Drive or ride off in a hybrid/electric car, stagecoach, or bicycle. 14) Participate in a charity like Walk for the Cure or volunteer somewhere such as a soup kitchen instead of having a bachelorette or bachelor party. 15) Have your wedding and reception at the same place; guests, you, and your wedding party will not have to use more gas driving to a another location. 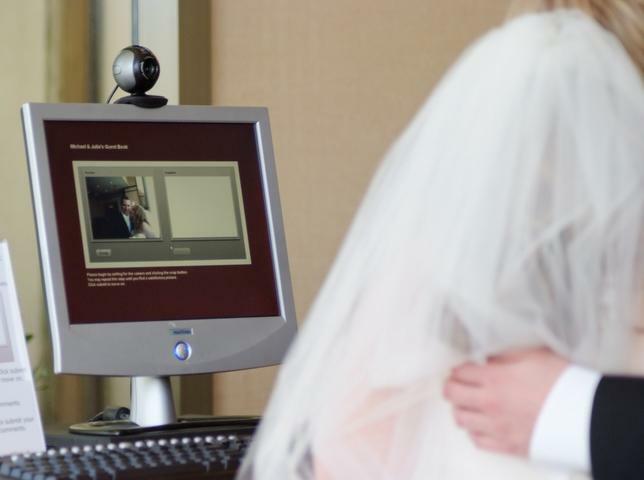 16) Have guests sign in electronically instead of using paper; websites like Perfect Wedding Wiki sell software that can take pictures of guests with a web cam, upload the photo, and allow guests to sign in while writing a personal message to the bride and groom. 17) Have your wedding and reception early and outside so you will not need to use electricity for lights, air conditioning, etc. 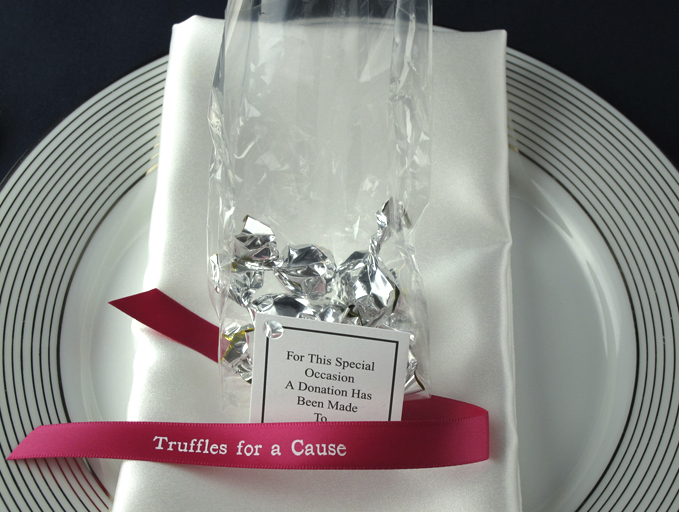 18) Truffles for a Cause is another great idea for wedding favors because when you purchase with Truffles for a Cause, some of the proceeds will go to a charity they work with. 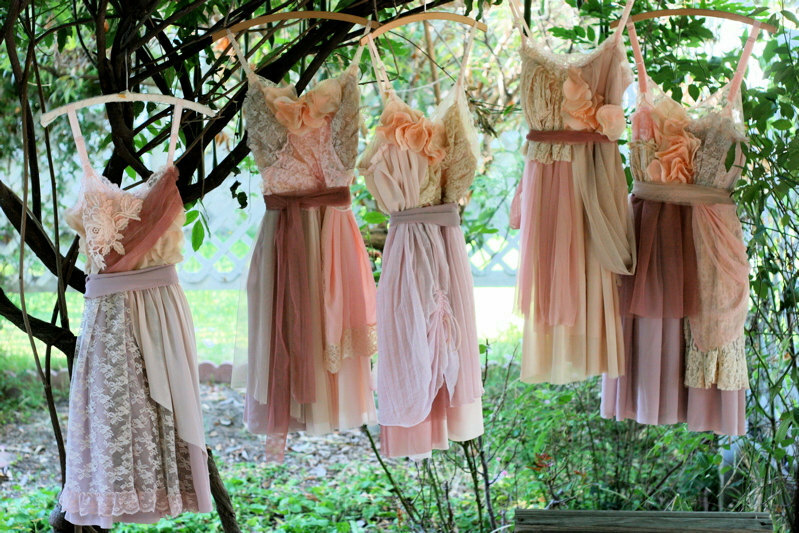 19) Bridesmaids can wear recycled dresses; whether dresses are made with material from other dresses, dresses from bridesmaid’s own closets, or dresses bought used, this saves and reuses fabric. 20) Purchase your wine, whether for favors or drinks at the wedding, from One Hope Wine; for every bottle sold, they give half the profits to charity. Weddings can be very expensive, but with all of the money being spent, others can benefit as well; yes, it is your dream day, but you can also make someone else’s dream come true as well, all while taking a few “green” steps towards keeping this world a place we can all continue to safely dream in. Some really lovely ideas there.